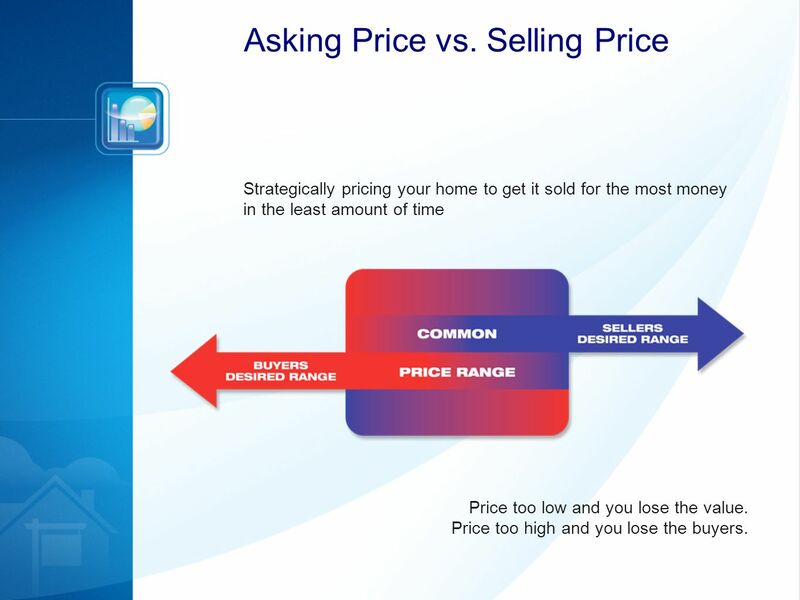 8 Strategically pricing your home to get it sold for the most money in the least amount of time Asking Price vs. 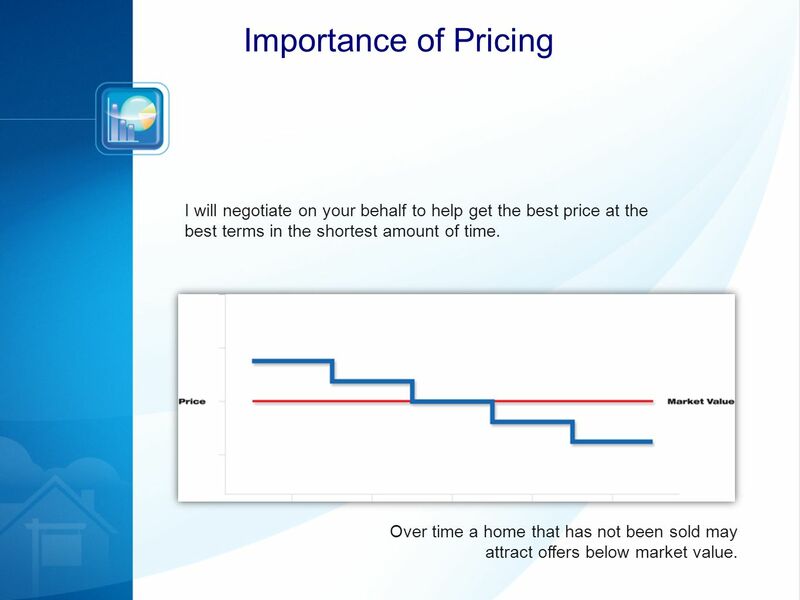 Selling Price Price too low and you lose the value. 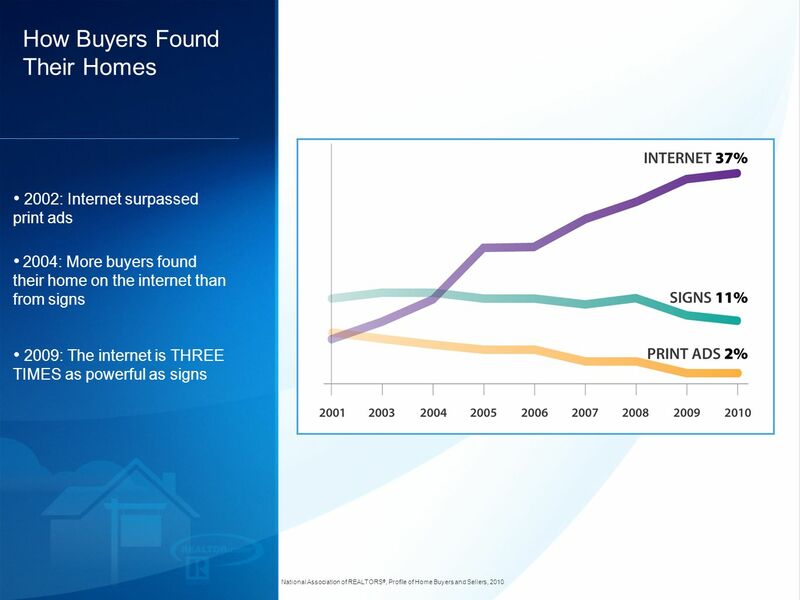 Price too high and you lose the buyers. 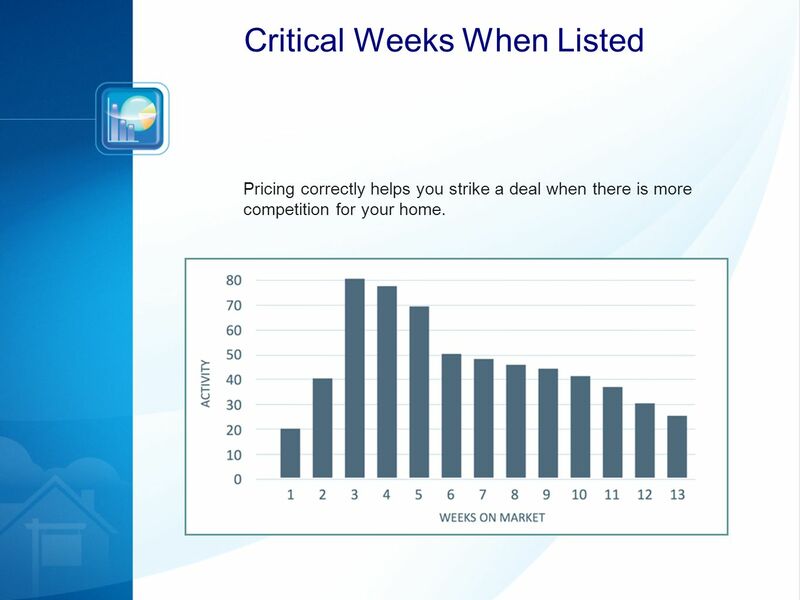 11 I will negotiate on your behalf to help get the best price at the best terms in the shortest amount of time. 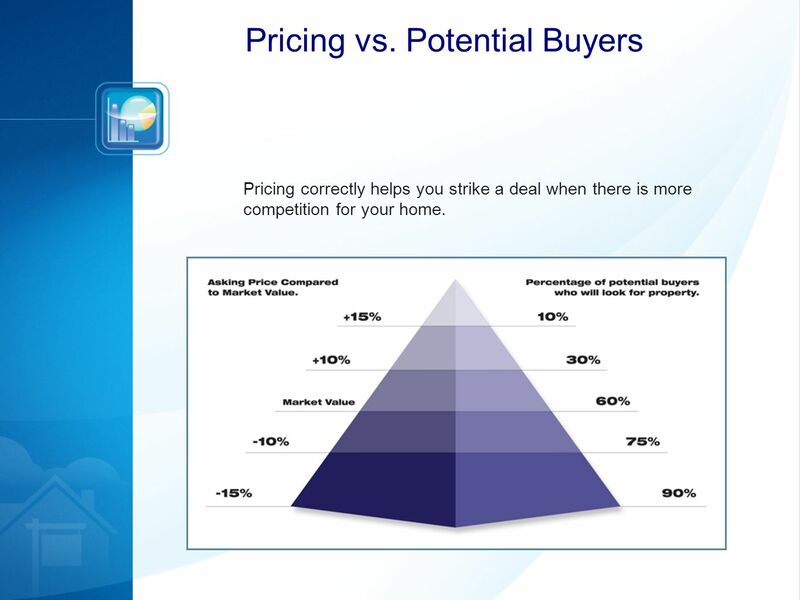 Importance of Pricing Over time a home that has not been sold may attract offers below market value. 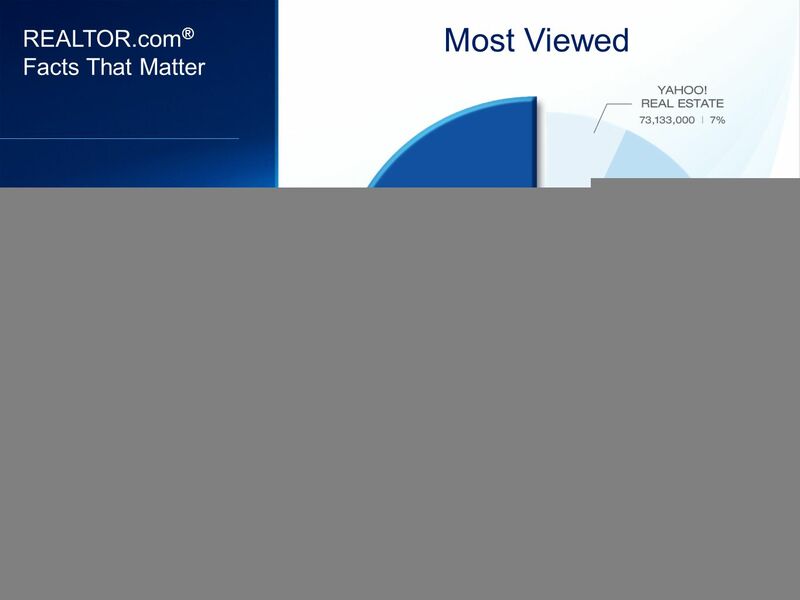 17 REALTOR.com ® Facts That Matter Visitors on REALTOR.com ® stay longer than on other comparable sites. 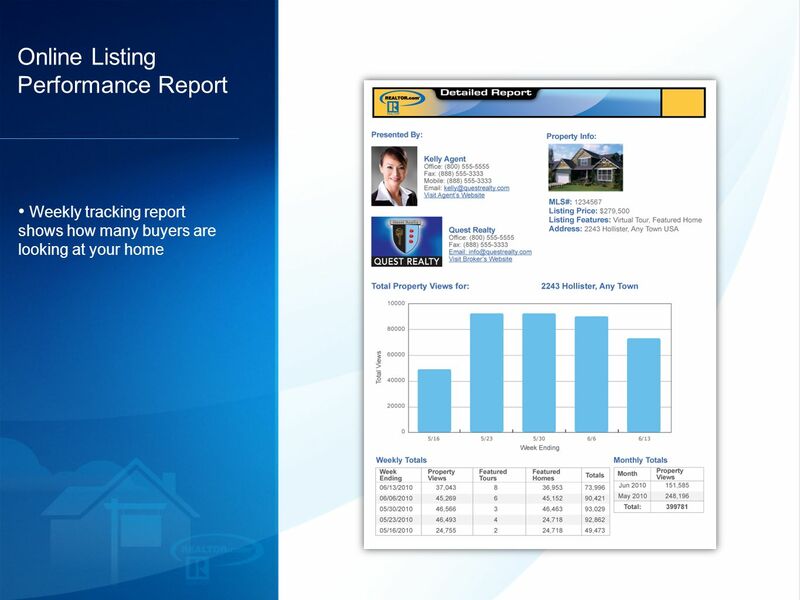 They take another look at a property and really comb through the details Visitors on REALTOR.com ® also come back more than on any other comparable site comScore, Media Metrix, Key Measures Report, September 2011 for REALTOR.com ® and other comparable real estate aggregation sites and excluding sites of franchisors/brokerages. 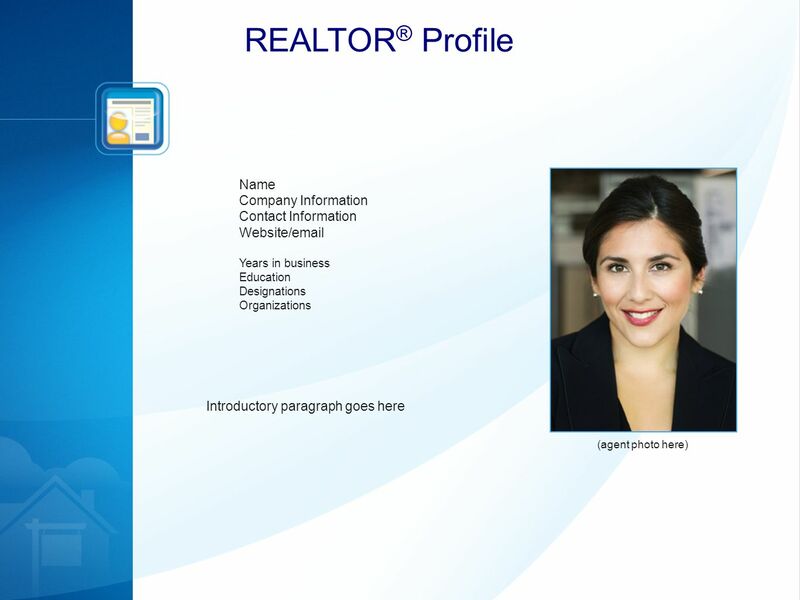 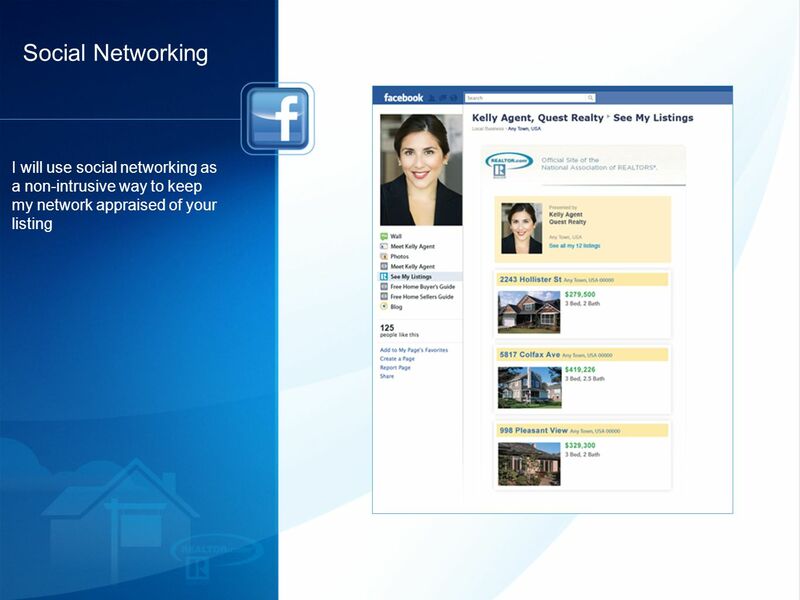 REALTOR.com ® numbers include MSN ® referring numbers. 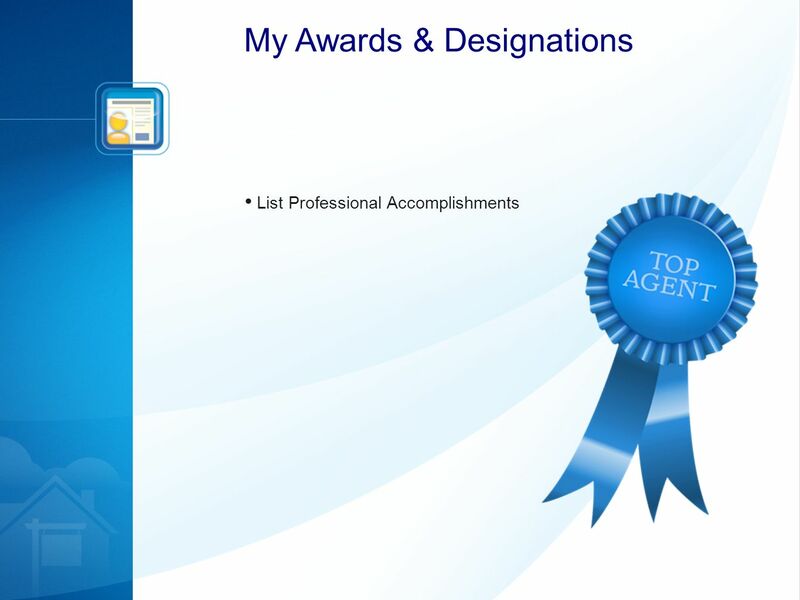 Figures represent percentages of top 5 websites in each category. 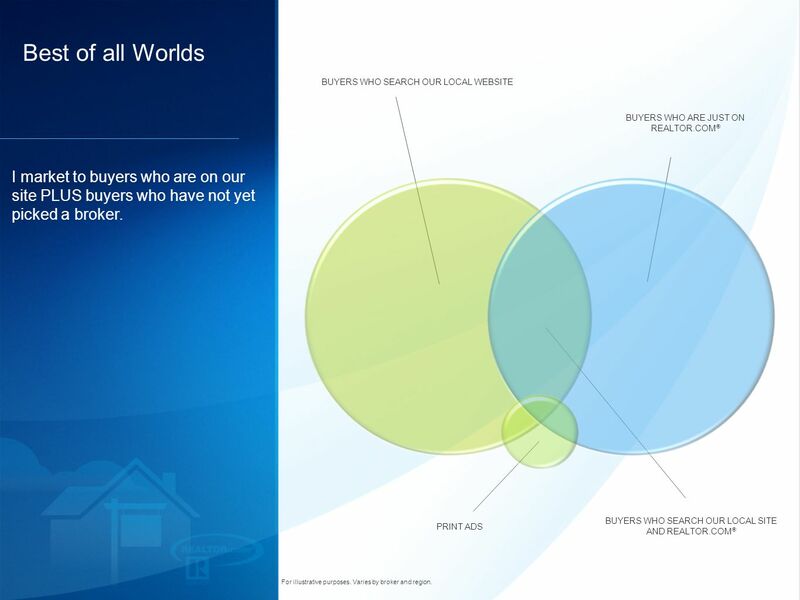 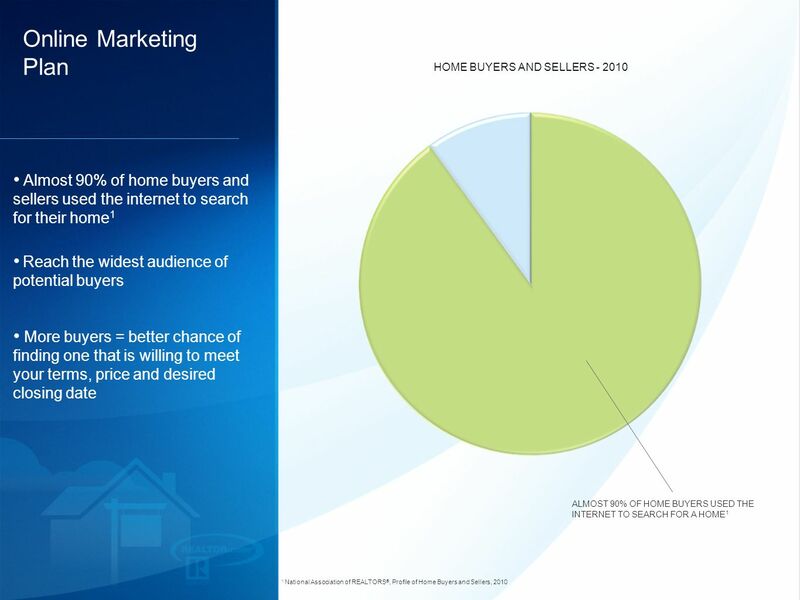 Due to rounding, chart may not equal 100% Most Viewed Where more home buyers and sellers view more listings than anywhere else. 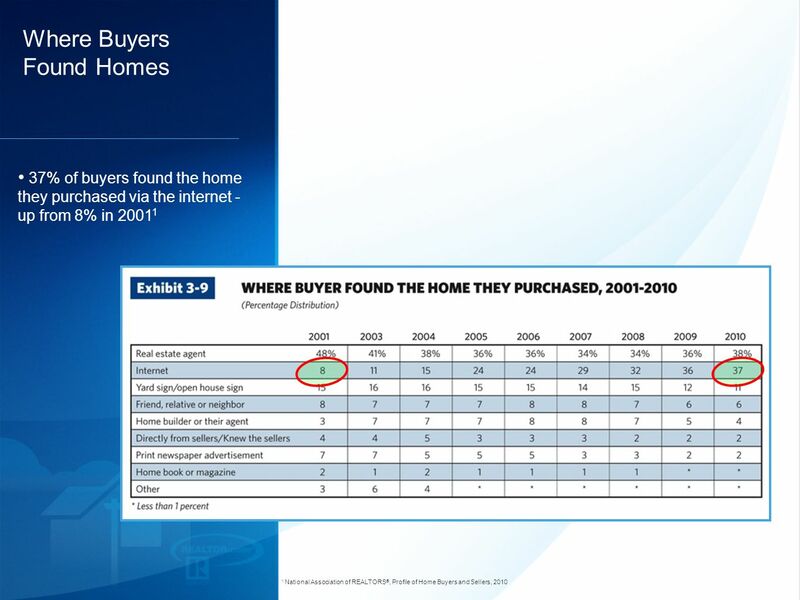 That means your home has more chances to be seen ad ultimately purchased. 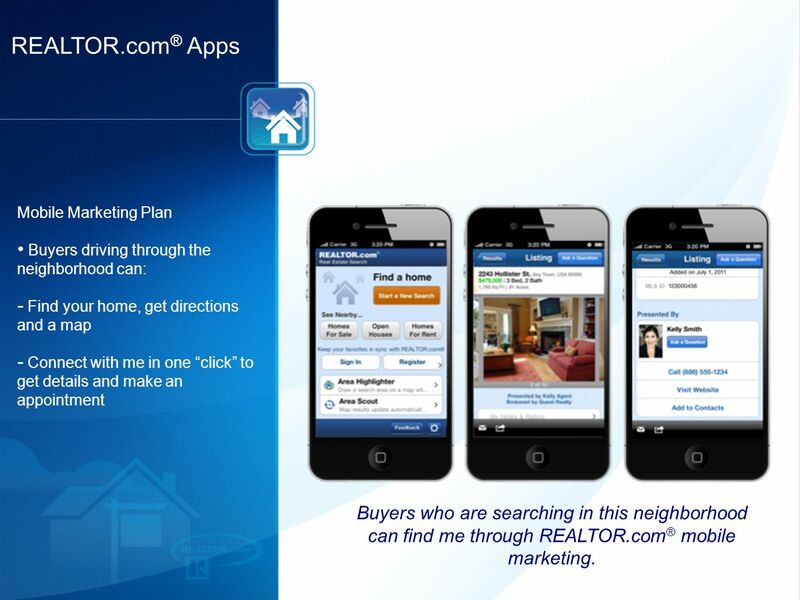 20 REALTOR.com ® Apps Mobile Marketing Plan Buyers driving through the neighborhood can: - Find your home, get directions and a map - Connect with me in one click to get details and make an appointment Buyers who are searching in this neighborhood can find me through REALTOR.com ® mobile marketing. 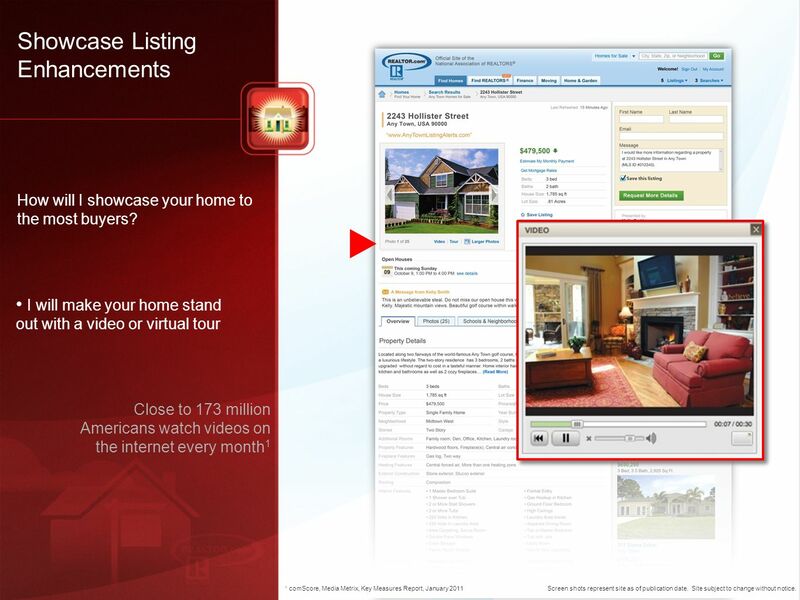 21 Showcase Listing Enhancements How will I showcase your home to the most buyers? 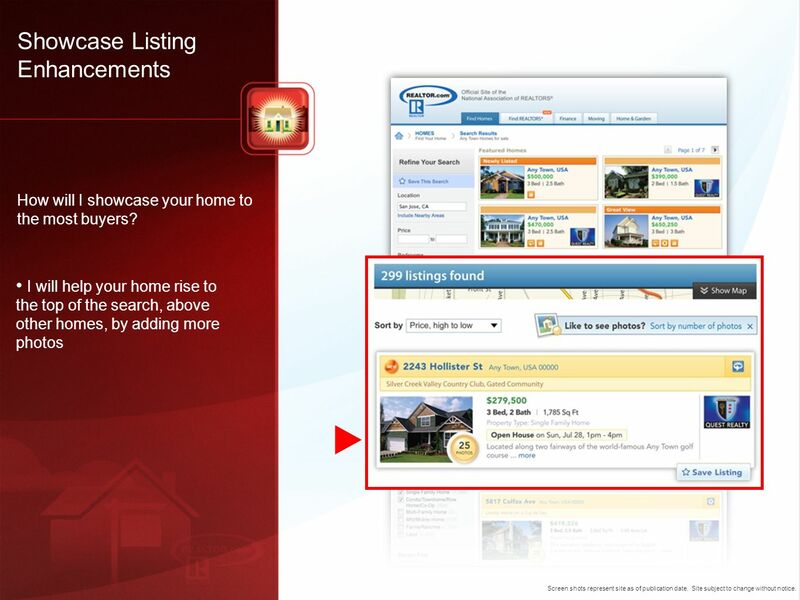 I will help your home rise to the top of the search, above other homes, by adding more photos Screen shots represent site as of publication date. 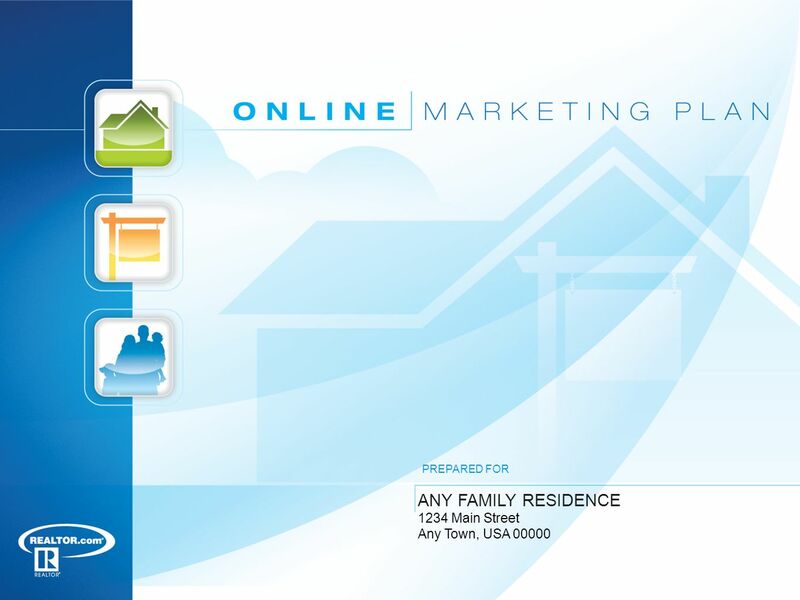 Site subject to change without notice. 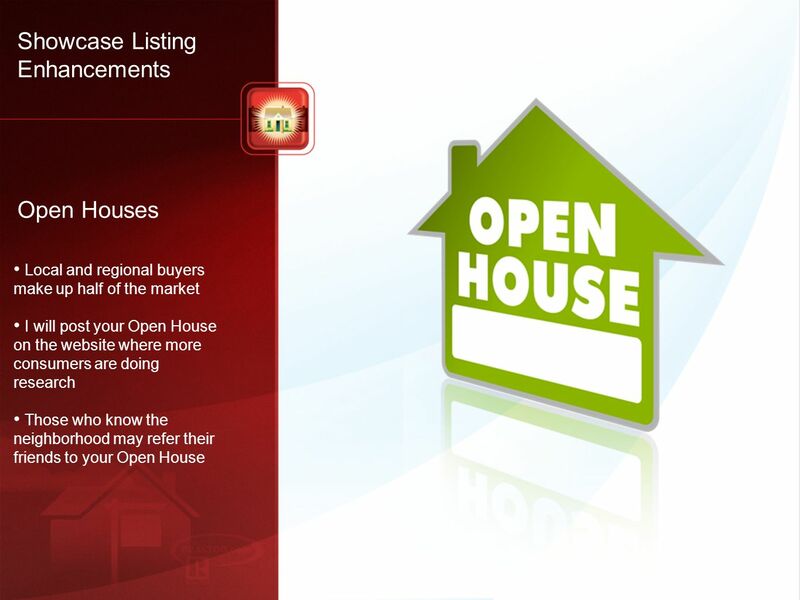 22 Showcase Listing Enhancements How will I showcase your home to the most buyers? 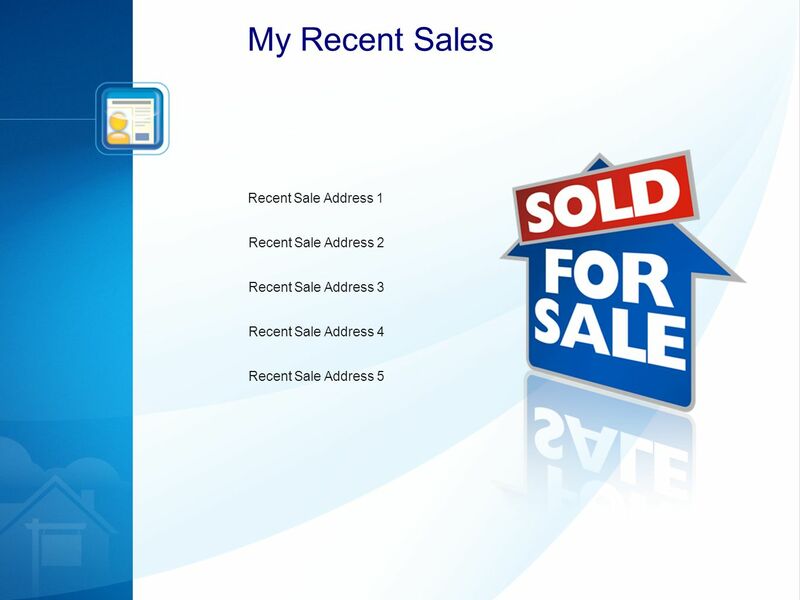 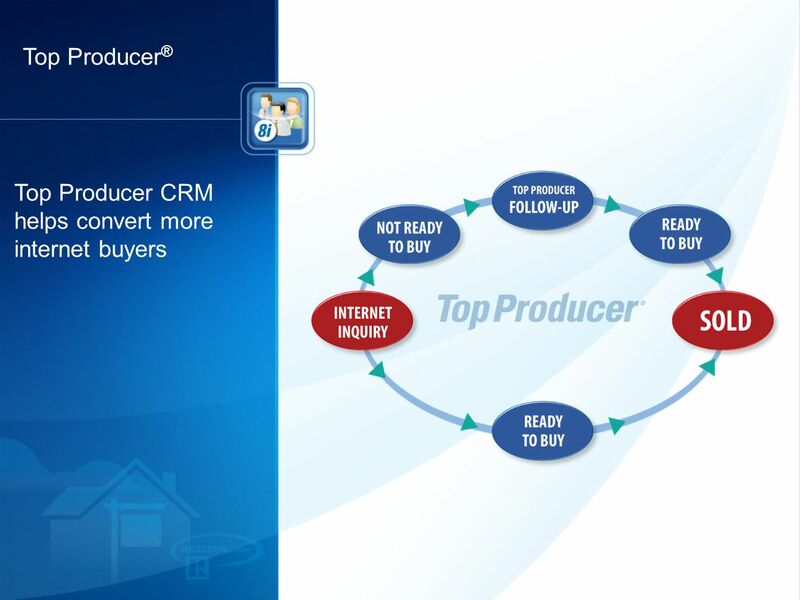 I will place my cell phone number at multiple points to increase buyer calls for your property Screen shots represent site as of publication date. 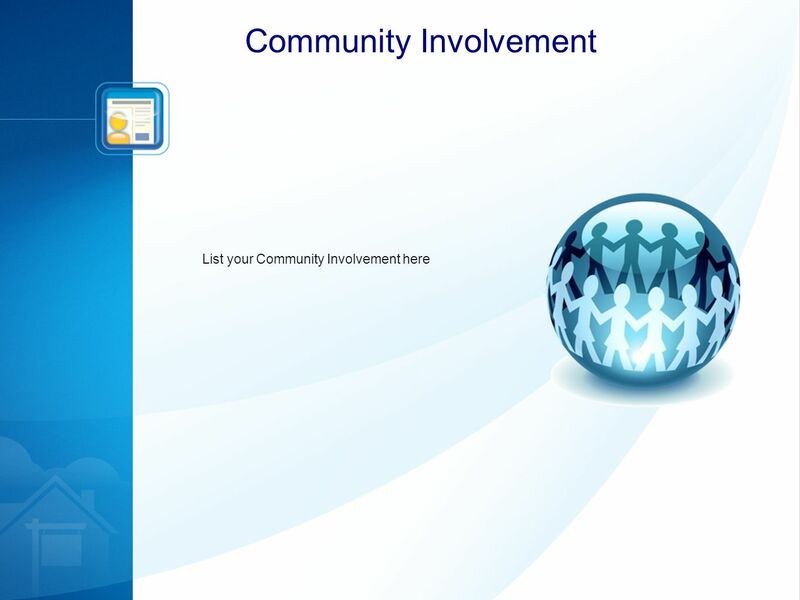 Site subject to change without notice. 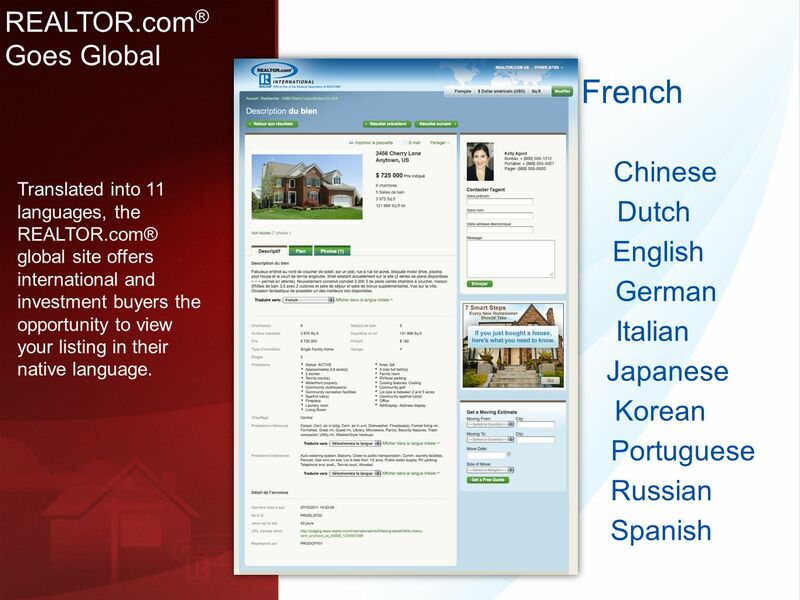 25 French Chinese Dutch English German Italian Japanese Korean Portuguese Russian Spanish REALTOR.com ® Goes Global Translated into 11 languages, the REALTOR.com® global site offers international and investment buyers the opportunity to view your listing in their native language. 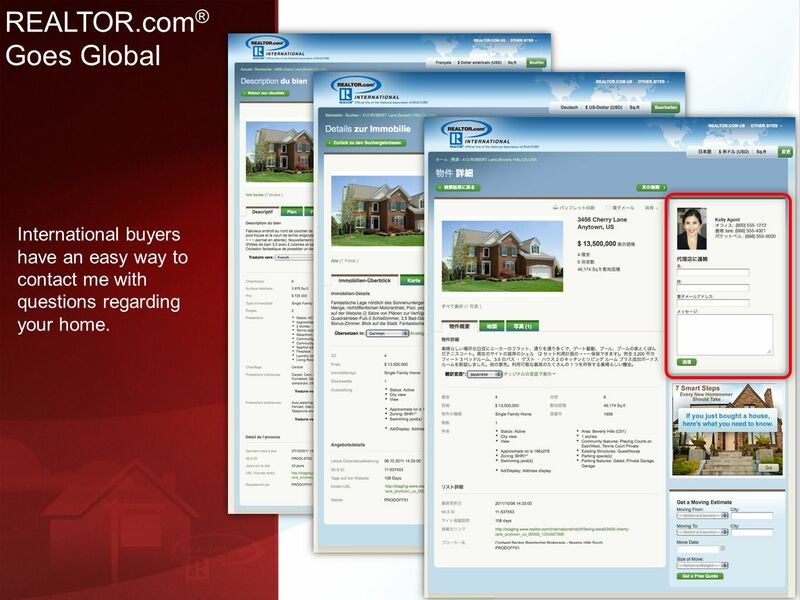 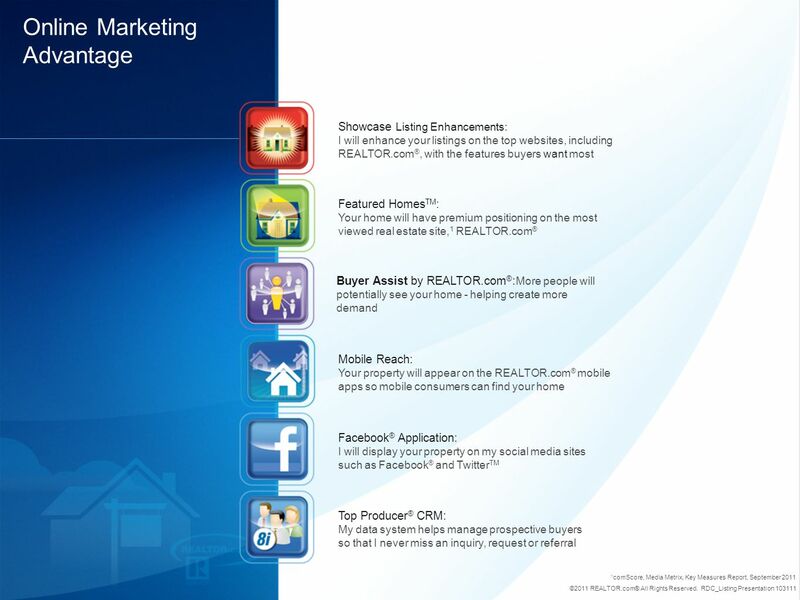 26 REALTOR.com ® Goes Global International buyers have an easy way to contact me with questions regarding your home. 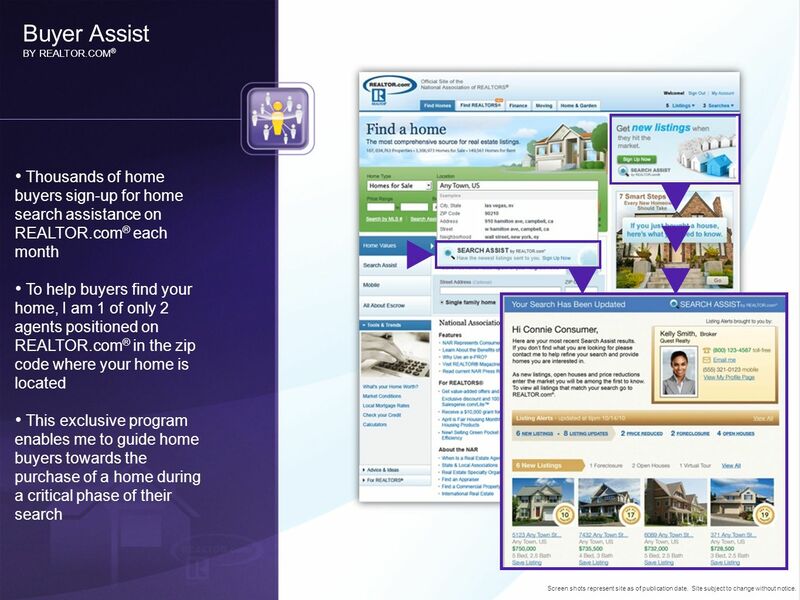 28 Buyer Assist BY REALTOR.COM ® Thousands of home buyers sign-up for home search assistance on REALTOR.com ® each month To help buyers find your home, I am 1 of only 2 agents positioned on REALTOR.com ® in the zip code where your home is located This exclusive program enables me to guide home buyers towards the purchase of a home during a critical phase of their search Screen shots represent site as of publication date. 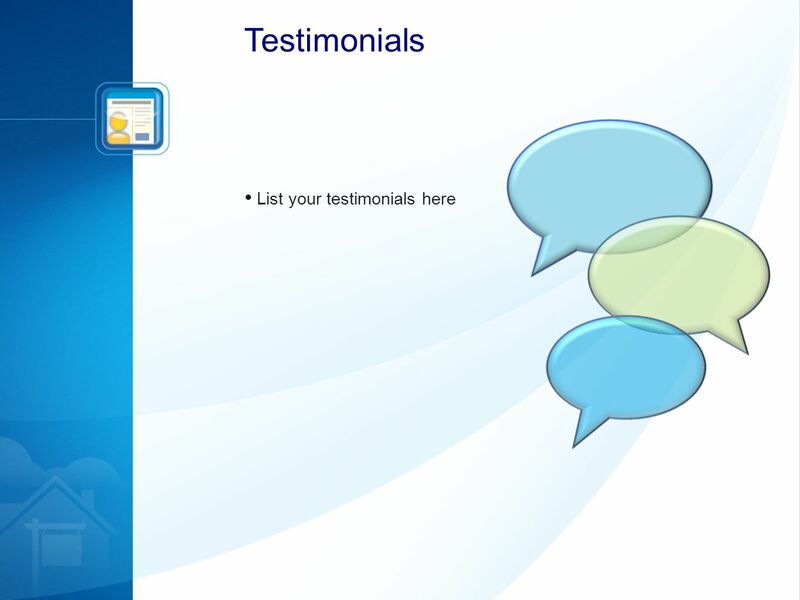 Site subject to change without notice. 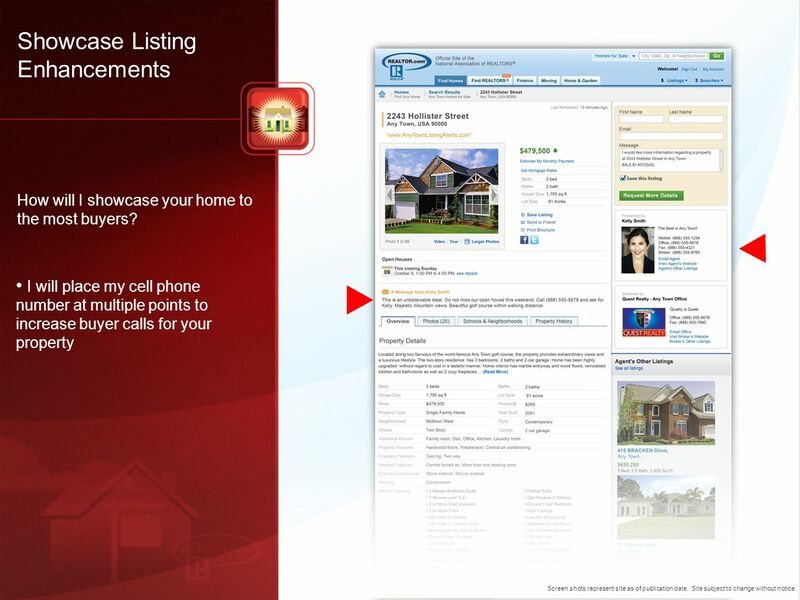 30 Featured Homes I can make your home the first one buyers see Triple the number of buyers who see your home Exclusive position gets your home seen before all others Screen shots represent site as of publication date. 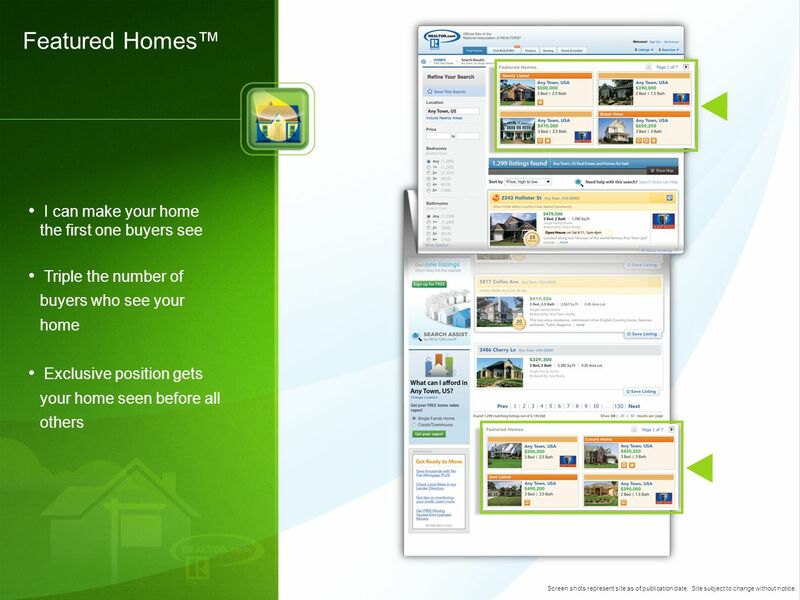 Site subject to change without notice. 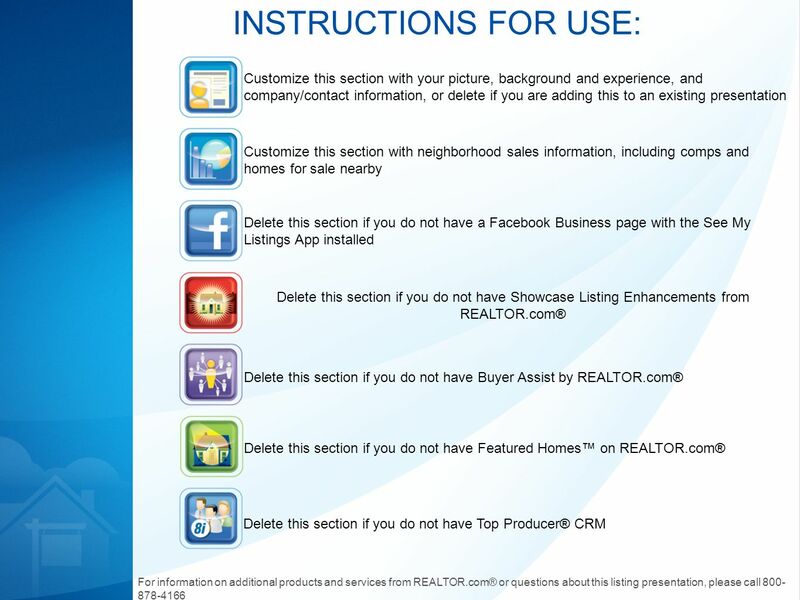 Download ppt "INSTRUCTIONS FOR USE: Customize this section with your picture, background and experience, and company/contact information, or delete if you are adding." 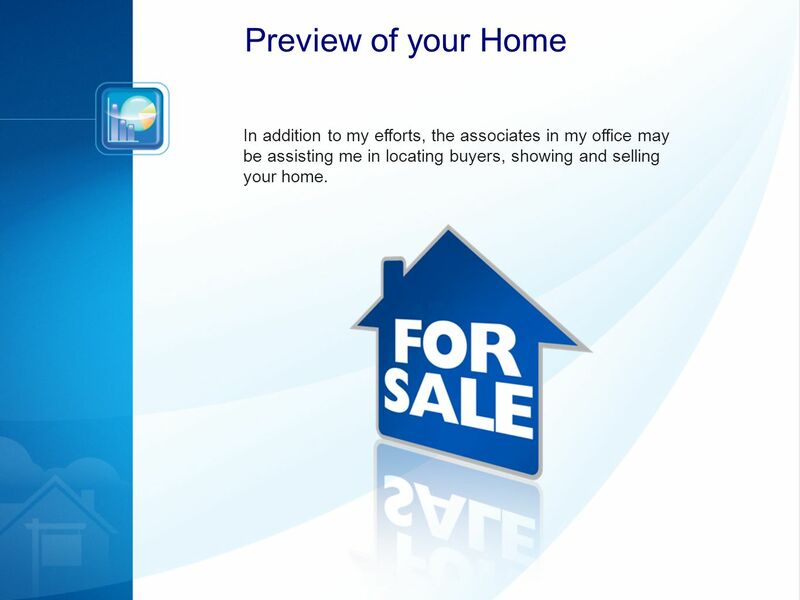 Prepared for: Seller(s) Name Property to be marketed: Insert Address Here Property Address Presented by: Agent Name CENTURY 21 Beutler & Associates Insert. 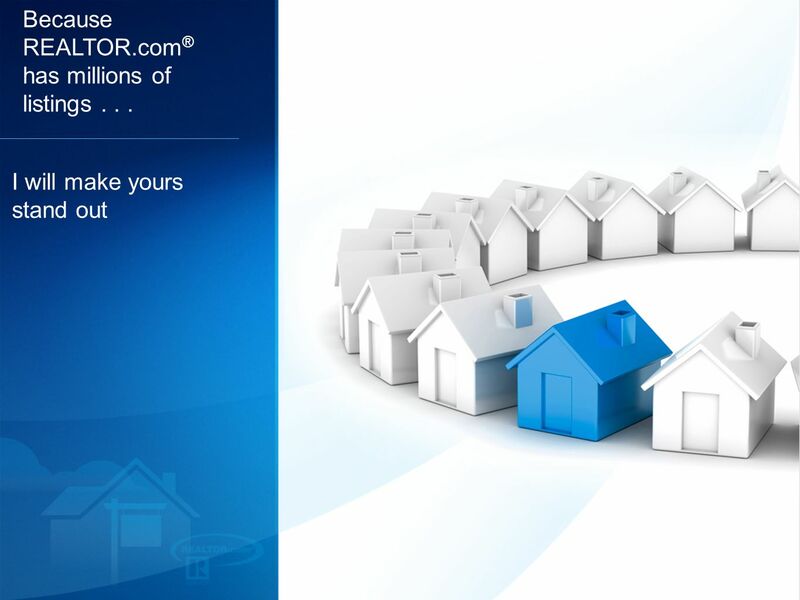 REALTOR.com® International. 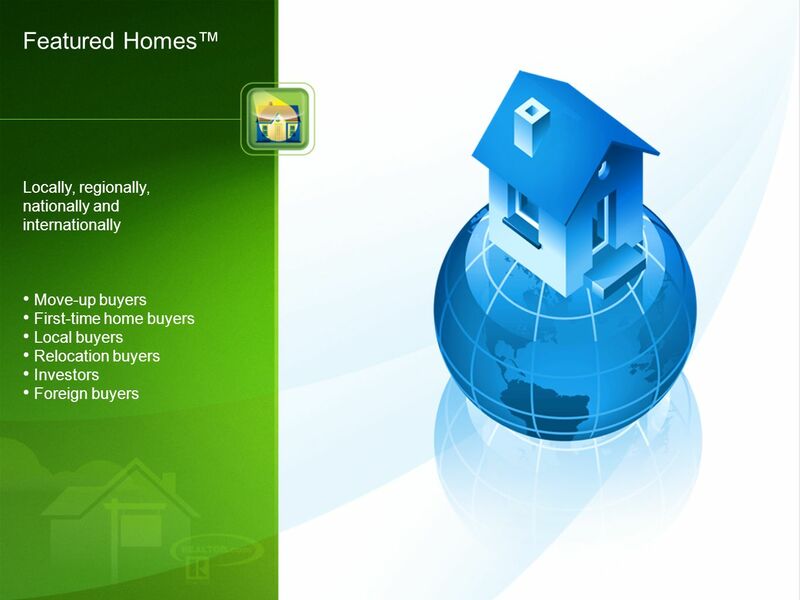 RRe National Association of REALTORS® 2011 Profile of International Home Buying Activity U.S. remains a top destination for.